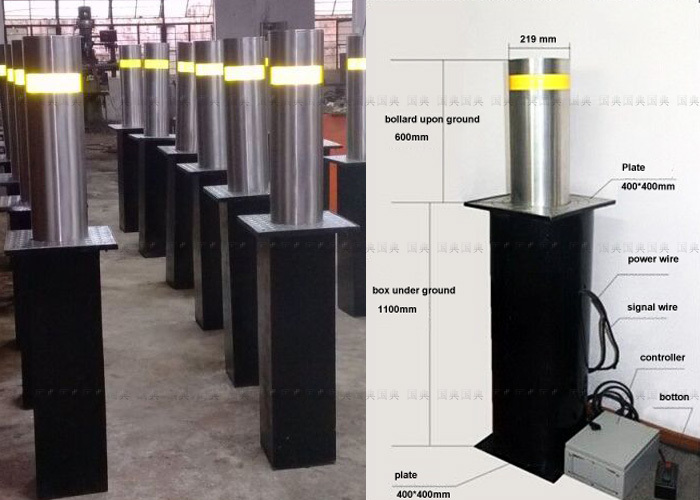 Hydraulic Bollards (Traffic Bollard) can be installed in sets with 1,2,3 and 4 units. When 2,3 and 4 units of sets are used, all units are controlled with one cabinet and they open-close at the same time.When the up button in the control keyboard is pressed, the bollards move up and prevent car access. Looking for ideal Traffic Barrier Bollards Manufacturer & supplier ? We have a wide selection at great prices to help you get creative. All the Traffic Barrier Bollard are quality guaranteed. We are China Origin Factory of Bollard with Control Unit. If you have any question, please feel free to contact us.